I got a call yesterday from my main supplier of wood pellets, New England Wood Pellets (NEWP), which no one in the supply business ever wants to get. They informed me they will not be able to approve my company’s allocation for wood pellets in the fourth quarter because they will need that time to meet their orders for the third quarter. It was explained to me that I was not the only one who was losing their allocation, which I did confirm with some other dealers. 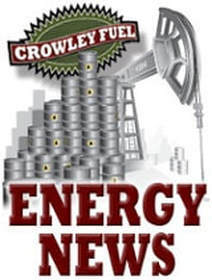 Crowley Fuel will receive the rest of the pellets for the third quarter but will have to wait until sometime in October to get them all. What happened? The main reason is that NEWP’s mills have not been able to keep up with the demand. This spring, they got a late start catching up from a long, cold heating season and weren’t able to build up much inventory over the summer. The also had problems to deal with, such as fires and other safety concerns, which reduced production considerably. The company has had to pay some hefty fines for these safety violations. In addition, NEWP was bought by a company called Rentech this past May, and I’m sure this has had an impact. I read the press release from Los Angeles, Calif. dated May 1, 2014 with great interest. Of concern to me was the lack of any real plan for increasing productivity and that Rentech plans to “open up new geographic markets.” I can’t be sure, but it looks like their plan is to do what many pellet producers do; ship their pellets to locations out of this area. That would be unfortunate, because we have the demand for pellets, and it’s growing at a fast pace here in Central Massachusetts. For us, one of the great environmental benefits of using New England Wood Pellets are the low shipping costs, since we’re not a long distance away. What pellet fuel customers of Crowley Fuel need to know is that you are our first priority. We will deliver New England Wood Pellets to you while supplies last, starting with the orders that we currently have. We can also offer North Country Wood Pellets (NCWP) which are softwood pellets made from Douglas Fir in Alberta or British Columbia, Canada. They are a little more expensive, but they provide more BTUs and produce less ash. They do take a long train ride which can result in some of the bags being damaged, and the higher cost is due to the extra transportation. We are also in contact with other suppliers of wood pellets and hope to make up the loss of the NEWP with other high-quality brands. Keep checking our website for the latest information and prices. Using Heating oil for off-road diesel? 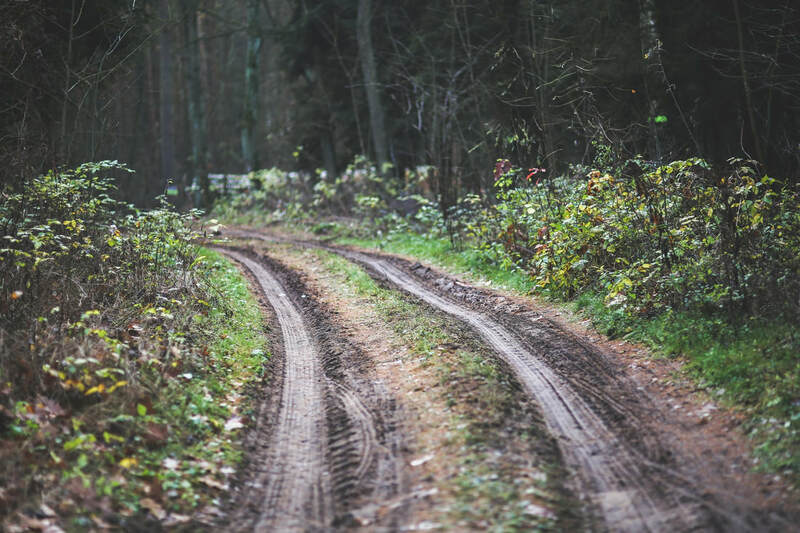 I have done some research into the potential of using heating oil for off-road diesel purposes once the sulfur content in heating oil comes down to the 500ppm (parts per million) level required for off-road diesel (ORD). I cannot say that I have a document that clearly states that the low-sulfur heating oil (LSHO) becoming available in Massachusetts after July 1 will be completely legal or appropriate for your machine. However, what I will say is that Crowley Fuel will start selling LSHO for off-road purposes after we get our first shipment of the oil in July. There are several compelling reasons for doing this, which are listed below. The first is that we used to do it some years ago before the law changed that made selling high-sulfur heating oil illegal for off-road users. I am not aware of any of my customers who are still using HSHO as off-road diesel, but I know there are still people out there who will drain off some heating oil from the tank in their home. Another reason for using LSHO for off-road is that both fuels are dyed red, which is proof that they are both not taxable. You are not likely to get into trouble with any state regulatory agency, because they are more interested in whether or not you paid the tax for the fuel. Do not use LSHO in vehicles that go over the road because that fuel is not dyed and requires that a tax be paid. It is also an ultra-low sulfur fuel which has only 15ppm. If you care about the effect that LSHO will have on your diesel motor, I recommend that you check the manual for your machine, or contact the manufacturer to see if using LSHO is authorized for use. Most manufacturers will void your warranty if you use a fuel that is not recommended. The fact of this situation is that the fuel currently used for off-road is the same as the fuel that I will be selling as heating oil. They will both have 500ppm of sulfur, which diesel motors have been running on since high-sulfur heating oil was discontinued. Most diesel motor manufacturers have compensated for the reduced amount of sulfur, which acts as a lubricant. Many suppliers of off-road fuel use additives to make up for this lowering of lubricity. 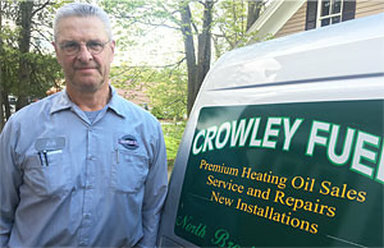 We at Crowley Fuel use additives in our heating oil, but they are specifically used for stability and anti-corrosion purposes. We sell quarts of diesel fuel conditioner for $11 each, which will be adequate for providing the lubricity and anti-gelling that diesel fuel currently requires. I have spoken with heating oil suppliers and industry representatives who see no problem with using LSHO as ORD. I am waiting to hear from someone in state government and expect to know definitely by July 1 when I expect Crowley Fuel to be back in the ORD business. Wood Pellet Demand is Heating up! Memories of last winter’s shortage are still fresh in customers’ minds, so phone lines are naturally busy for suppliers of wood pellets this time of year. The situation is causing supplies to be tight and delivery dates to be pushed back, but this is not expected to cause anyone trouble getting the pellets they need before the heating season begins. The only problem it may cause is a lengthier time between the order date and the delivery. Pellets are still available, but please be sure to plan on a little extra time between ordering and delivery. Our supplies were good for most of the summer, and we have been able to deliver pellets within a week or two of the order. Currently we are about a month from order date to delivery date. Early October is the soonest we can deliver our most popular brand of wood pellets – New England Wood Pellets. 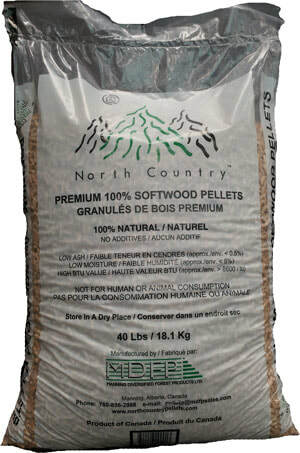 We have softwood pellets from British Columbia called North Country Wood Pellets that are more readily available at the current time. Pellet mills have been operating at full capacity all year and are only shutting down for maintenance. This situation is causing some older mills to have unscheduled shut-downs and set-backs in production. I have not heard of any shortages with the raw materials for making wood pellets, so you can expect manufacturers of wood pellets to do their best to meet the demand of their products. More good news is that, just like last winter, the price of wood pellets has not increased significantly as we usually see with other commodities such as heating oil. If you are considering installing a pellet stove to help save on your heating bills, be glad knowing this price stability is good news, especially during these times of high demand. Wood pellet supplies at Crowley Fuel are down but not out!